A federal protection that comes with exemptions is no protection at all. Note that the feds do not vouch for the accuracy of the information they secretly keep. This is a formula for gross abuse. Last Friday, the federal government’s new anti-terror database, the Terror Screening Watchlist Service, went live. The database is loaded with an unknown amount of personal information, including names, photographs and biometric data. In a new turn that has civil liberties advocates crying foul, the Department of Homeland Security is claiming all information contained in the watchlist is confidential. Earlier today, the Electronic Privacy Information Center, the Electronic Frontier Foundation and several other groups filed a formal complaint with DHS about the blanket exemptions to the Privacy Act. Under DHS’ rules guidelines for the Terror Watch Lists, individuals “do not have an opportunity to decline to provide information” for the database, and cannot obtain the relevant information through the Federal Privacy Act. The Privacy Act is one of the milestone reforms passed in the wake of the Watergate spying scandal. It permits individuals to obtain law enforcement files about them by the government, with the intent of correcting incorrect information. Read the rest at KALW News. Well, of course BART’s action resembles a strategy employed by Middle East dictatorships. The high-tech control grid is being deployed uniformly around the world. And yet many in America and Europe and other “social democracies” are stuck in the illusion that we have liberty. 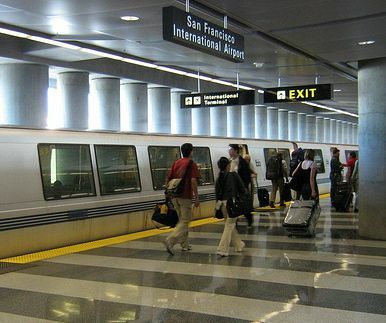 BART’s shut-off of subterranean cell phone service in its downtown San Francisco stations may have prevented a protest Thursday, but it sparked accusations Friday that the action stifled free speech and smacked of the kind of government intrusion employed by Middle East dictators. Read the rest at the San Francisco Chronicle. Consider Google’s motto: “Don’t be evil.” Have you ever stopped to think about that motto? Isn’t it a little bit like Richard Nixon saying “I am not a crook”? Does it not sound like a reassurance intended to refute that which is true? “Give the lady what she wants”—now there’s a motto that confirms that a company’s priority is the customer. But why would a truly good corporation need to urge its employees not to be evil? And what about the choice of the word evil? Why choose the extreme? No, “Don’t be evil” is something a serial killer my say to himself when his killing is out of control. Good people don’t need to tell themselves not to be evil. Google has admitted complying with requests from US intelligence agencies for data stored in its European data centers, most likely in violation of European Union data protection laws. Gordon Frazer, Microsoft UK’s managing director, made news headlines some weeks ago when he admitted that Microsoft can be compelled to share data with the US government regardless of where it is hosted in the world. At the center of this problem is the USA PATRIOT ACT, which states that companies incorporated in the United States must hand over data administered by their foreign subsidiaries if requested. Not only that, but they can be forced to keep quiet about it in order to avoid exposing active investigations and alert those targeted by the probes. This situation poses a serious problem for companies like Microsoft, Google or Amazon, which offer cloud services around the world, because their subsidiaries must also respect local laws. Read the rest at Softpedia. More and more, both houses of the U.S. Congress are demonstrating that they are merely ceremonial bodies that rubber-stamp legislation that advances the corporate, defense, and financial interests that own them. An amendment offered on May 24 by Sen. Ron Wyden would have challenged the Administration’s reliance on what he called “secret law” and required the Attorney General to explain the legal basis for its intelligence collection activities under the USA PATRIOT Act. But that and other proposed amendments to the PATRIOT Act have been blocked in the Senate. “The public will be surprised… when they learn about some of the interpretations of the PATRIOT Act,” Sen. Wyden said, based on his access to classified correspondence between the Justice Department and the Senate Intelligence Committee. Read the rest at Secrecy News. What is this if not a clear case of government employees giving kids drugs in order to make them more docile and compliant? Kids are being trained to live in a world in which the state drugs people to keep them in line. There’s nothing new about teachers prescribing drugs; what’s interesting here is the sheer number of kids in the U.K. being doped up by representatives of the state. 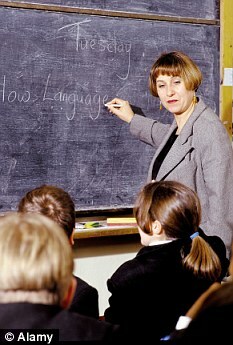 Teachers have been blamed for the record number of children prescribed ‘chemical cosh’ drugs such as Ritalin. There are now some 650,000 eight to 13-year-olds on the drug or its equivalents. This marks an astonishing rise, up from 92,700 in 1997 and just 9,000 in 1990, according to NHS figures. Yesterday it emerged the vast majority of the children were given the potent drug on the instruction of their teacher. Read the rest at The Mail Online. When the rights of the people may be suspended for special occasions, do the people truly have any rights at all? A G20 incident caught on video that shows a York Regional Police officer telling a protester he is no longer in Canada and has no civil rights is under investigation. The video shows several activists standing outside of the G20 security perimeter at King St. W. and University Ave. on June 27 while their bags are searched by a group of police officers. The mood is pleasant until a young man in a black T-shirt and cap refuses to hand over his backpack. The officer’s badge number, 815, is clearly visible in the video. The officer with that number, Sgt. Mark Charlebois, said in an email that he would love to speak but couldn’t because the matter was before the Ontario Independent Police Review Director. “If I was sensitive, I would likely be crying all the time with the comments about me,” he said. No one from the OIPRD was available to comment. York police media officer Sgt. Gary Phillips said the incident was the subject of a citizen’s complaint. In the video, a woman’s voice from behind the camera points out that the protesters are not within 5 metres of the cordoned-off zone — the area in which Torontonians were led to believe, erroneously, that they could legally be searched by police officers at whim. The male protester insists that, as a Canadian, he has the right to refuse the search. But the officer disagrees. “This ain’t Canada right now,” he says. Read the rest at The Toronto Star.